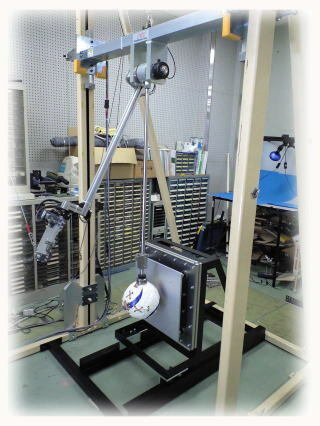 We designed a hydraulic power driven and clamped load frame for Magnetic Vibration Testing System. ★　The frame capacity is 100kN. ★　Hydraulic lifts and clamps. 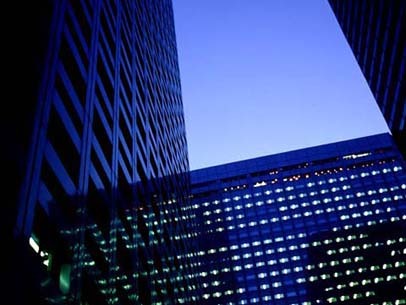 ★　Digitally controlled crosshesd position. 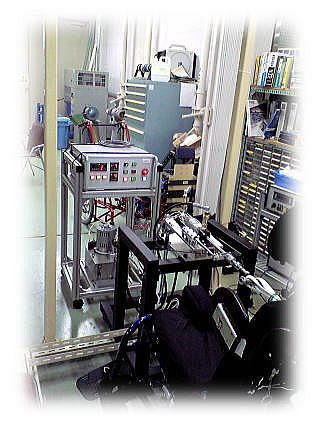 This system is designed for endurance testing of wheelchairs. It releases a weight as per JIS, from a set point (angle). The weight falls down in pendulum motion. The start point (angle) and the number of repetition are set by the controller. This system is designed for testing endulance of wheelchairs and other welfare gadgets. It sets a load value and number of cycles, then selects test direction (push or pull). The test starts and ends automatically once it is set up by the controller. This system is designed for testing human organs in the field of biomechanics. 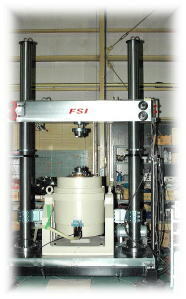 By combining this system with INSTRON material testing instrument, accurate load control can be achieved. Accurate torsion torque value and angular data can also be indicated on the system. This system provides 6-axis motion.